If We Were Having Coffee... 14th February - A Rose Is A Rose Is A Rose! If we were having coffee, I’d wish you a cheery hello and thank you for stopping by for a bit of catching up over coffee. Oh, if coffee isn’t your elixir, you may grab a beverage of your choice. So pick your cup and pull up a chair. So, how have you been! Hope all’s good with you! 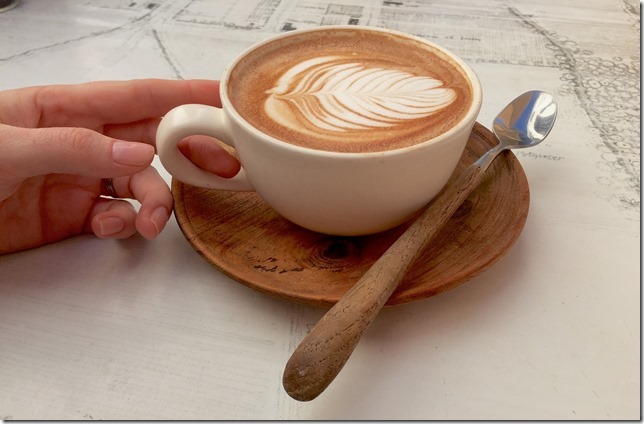 If we were having coffee, I’d share that I am in somewhat of a blogging drought. I want to write, but as soon as I open my laptop, this ‘don’t-feel-like-writing’ feeling overpowers me. I meekly give in to this inner voice and get back to reading or doing something else. While I am happy that I am reading more and I am productive in my work sphere, but there’s this massive nagging feeling at the back of my mind that I haven’t updated my blog. What could be the reason for this disinterest in writing on my blog? Is it laziness? Procrastination? Lack of inspiration? Lack of discipline? I don’t have a clear answer to this, but I certainly want to keep this space alive. If we were having coffee, I’d share that as soon as I wrote that last line, dark and seemingly endless clouds of despair and guilt have parted above me and light of clarity is emerging! Yes, if I want to keep this space alive, I have to make it a priority. I cannot let the emotional excuses rule my life, because these don’t get anything done. If I am serious about writing, I have to buck up, sit down, and write on… Gosh! Why didn’t I do this earlier? But as they say, better late than never! If we were having coffee, I’d ask you for some recommendations on Netflix. I am currently watching Powder which is a series on fight against drug abuse in India. It’s an interesting series with some great acting. I have fallen in love with Pankaj Tripathi. He is such an amazing actor. He is so impressive with this subtle yet powerful presence even in Mirzapur and Sacred Games. I also watched Once Again, starring Shefali Shah and Neeraj Kabi. It’s a beautiful love story of a widowed restaurant owner and a lonely film actor. Love and Shukla, Manto and The Silence are interesting movies too. Four More Shots Please! has piqued my interest and I would like to check it out on Amazon Prime. Have you watched this series? If we were having coffee, we would have been draining the last dregs of our cups, and it would be time for us to say goodbye. I wish you are having a great week and that you will stop by the comments and let me know what you’ve been up to! Very nice post, i have also send post in superbloggerchallenge. Today, I had tea instead of coffee. I have watched four shots please and found to be amusingly disappointing. These days I am watching Broadchurch and Doc Martin as I have realised I am a big sucker for British accent. Those are some good recommendation, Shilpa. Will check out Once Again and Love and Shukla, name itself is interesting. It is totally okay to not write sometimes, Shilpa. Do not beat yourself over it. Netflix and chill is good! Pankaj Tripathi is the best, isn’t he? What a fabulous actor! Take time time out to read, watch movies and do nothing. Trust me, it will only help you. I’ve missed you. Welcome back, and look forward to regular posts soon. Sorry to hear you’ve been in a bit of a limbo but glad to see the clouds clear up! If we were having coffee I’d tell you about riding the bus to the French Quarter to take pictures. The bus is quite an adventure in own right. If share my plans for today. After a hike along the levy, I’m going out with myself for pho or maybe that sketchy Honduran place. I hope it’s cleaner on the inside than it is on the outside. I think we all go through these blogging slumps, but they usually do clear up, eventually. Welcome back! 🙂 From personal experience, it doesn’t work well if you force it, because, then it feels like a chore and there’s no pleasure in it. Better to have the enthusiasm return on its own. Cheers! Even though while I am preparing to share my thoughts in response to your lovely post, I, like every Indian feel heavy today for all the brave soldiers we are loosing regularly, and like every Indian, my patience is also running out……….the perpetrators of such atrocities are attracting Karma onto them……………..
Talking about this last few days, I am happy to have discovered the music of Prateek Kuhad. He is brilliant in his singing and songwriting and I have already written something on him in my blog recently. Will recommend to you and everyone to give him a listen, and you will surely like his music. He makes me proud as an Indian :)……. Its ok to take a break sometimes, im sure it will leave you refreshed and you will soon be back with a bang Shlipa. Oh, and thanks for these recommendations. Gosh! Don’t even get me started. Let me just say that I am hoping February to get better. Everything is crazy. Glad you could get back to writing. I also keep feeling guilty when I don’t write. I love sipping Coffee and any web series that can accompany me sounds great. Also glad about the fact that you have found some time for writing your Blogs! Keep the good work going! It’s absolutely fine not to write and enjoy something else instead. We all need such breaks. I have watched Powder and Once again and loved both. If we were having coffee together I would have told you about those tons of ideas I have in my mind but I am falling short of time to implement them. That’s such a cute write up. I wish we could have coffee some day and discuss all these things and more! Having coffee makes me write easier. I find habits help me when nothing else works.